Garage door is the largest movable part in your home and is used regularly every day. The severe usage requires consistent maintenance for a superior functioning. There is no other door that experiences such wear and tear like the garage door. In order to keep it operating properly, there is an assortment of apparatus needed like the garage springs, door opener and door rollers. It requires regular care and maintenance to avoid unnecessary repairs. If the sensors are knocked out of line, the garage door sensors may not function properly. The problem can be resolved by realigning the sensors. It requires gently pushing the sensors in the right position. Sensors need to face each other. If the sensors are not aligned correctly, an indicator would blink. A solid light would replace the blinking light once the sensors are placed in the right position and realigned properly. Garage door track must not be sprayed with a lubricant when it becomes noisy and sticky. The lubricant doesn’t add to its functionality and usability. In fact, it can have an unfavorable impact. It accumulates matter that hardens and complicates the functioning of garage door. Instead of lubrication, it must be cleaned thoroughly with vast care. Wipe inside portion of the track using a damp cloth. Then wipe it using a dry cloth. A solution may be used if there is any sticky substance on the track. There are a number of things that ought to be taken into account when lubricating the garage door. It is not recommendable to lubricate parts of squeaky garage door with a liquid lubrication. Instead, use a silicon or lithium spray. Homeowners can save energy by installing weather seals for garage doors. This even prevents moisture from entering the garage which would otherwise cause more problems. It must either be applied to the bottom part of garage door, on the frame of garage door or between the garage door panels. Make sure you maintain it using the tips above and do it consistently. Resort to preventive measures to keep it in order. 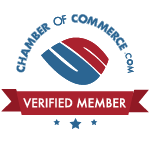 As a result of our customer’s review with Google, we rank as a 5 star company. We really want to thank our customers for their continued confidence and support. We like to see ourselves as a support and resource to our community. We make every effort to treat our customers like family. We delight in making your garage door repairs a pleasant experience. We appreciate doing business in the Treasure Valley and we find our customers are always willing to support us with honest reviews. It is our mission to show professionalism and hope with every visit we will receive positive comments, like:” I could not be happier with their job or they are very knowledgeable”. Garage Essentials wants to encourage our customers to leave reviews concerning our service by going to Google search and type in Garage Door Essentials and scroll down until you find Garage Essentials, click on REVIEWS, and click how many stars you want to rate the company under RATE AND REVIEW ON GOOGLE. We want everyone to have an opportunity to provide a written review by sharing your view points on Google review. We encourage customers to contact us for any assistance they may need concerning their garage doors, whether it is for repair or for replacement. GARAGE DOOR ESSENTIALS 208 577-7974. The garage door is the most directly visible and largest part of your home; considering that your garage door is constantly cycling 1500cycles in a year, it is important that you give your door preventive maintenance to get the most out of your investment. From the outside, the garage door may look like it’s in perfect working condition, but in reality it requires timely and constant care and maintenance to make sure it works smoothly and last for many years. To ensure maximum security, performance and avoid costly repairs and maintenance, contact Garage, a full service garage door company specializing in garage doors and openers to repair, service, and maintenance. Garage Door Essentials emphasize the importance of picking the right garage door springs for your door, such as wire size, length, cycle life, proper calibration of the torsion springs, door weight, door height, duration, etc. Sometimes it might sound too technical or confusing to customers and this is why the assistance of a professional is always vital. Leaving the garage door halfway open is a common unsafe habit with most garage door owners, which can shorten the life span of a garage door opener. Most garage doors are built to hold up under the strain of repeated opening and closing, the mechanism isn’t engineered to continuously being left halfway open. It has the potential to cause the door to break down prematurely; constantly leaving the garage door hanging midway can be a safety hazard for its users. Although a lot of people like the convenience of moving in and out of the garage without having to pull the doors up or down each time, they actually risking injury or be trapped if the door drops due to cable, center bearing plate, springs, or opener malfunctions. Every garage door should come with a fully explanatory and easy-to-understand manual. Make sure to carefully read and follow the instructions. It will provide you the basic guidelines on safety, correct handling, and performance issues. Ignoring what initially may appear like a minor issue could balloon into a major problem and costly if you delay repairing or servicing it. The next time your door won’t open or you detect an unusual sound from the door, unplug your opener to avoid costly opener repairs or replacement and call Garage Door Essentials. Your garage door is an essential component of your home that protects your most valuable assets from getting stolen or damaged. If properly maintained, your garage door can not only enhance your safety and security, it can also improve the look and value of your property. Garage Door Essentials provides clients the highest levels of customer service and value for all your garage door needs. The Garage Door Essentials mission is to provide exceptional garage door repair service and customer satisfaction. 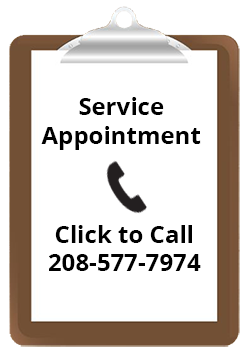 Garage Door Essentials is servicing customers in Boise, Meridian, Eagle, Star, Emmett, Kuna, Nampa, and Caldwell. Phone calls are answered by a live operator and an appointment will be scheduled at a time that is convenient for the customer. A malfunctioning garage door can cause severe disruption to your safety and security as well as your peace of mind. Garage doors are a highly technical and have heavy component that can cause severe damage. It is essential that you take all the necessary measures to keep the garage door in good working order. Do not compromise with the maintenance and repair of your garage door to avoiding expensive liability issues in the future. We offer reputed garage door service such as door installation, spring replacement, repair, and maintenance. Reasons why we strive to be your first choice! • Never had a customer complaint since we been in business. 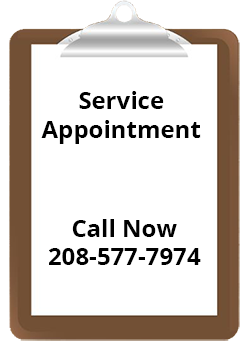 Garage Door Essential has a proven record of fast, quality and efficient garage door services in the Treasure Valley. Garage Door Essentials has managed to maintain an A+ rating with the better business bureau since its beginnings. If you are planning to replace or upgrade your garage door for a more modern look, we have a variety of materials and styles that can fit your specific budget and design needs. Garage Door Essentials provides great garage doors and openers installation and repairs. We offer many residential garage door solutions ranging from traditional to modern styles. We are reliable, honest, and focus on quality service.